This is a world-renowned work of art, a beautiful painting of genuine historical significance. Executed at a time when the enslavement of Africans was common throughout the world, this sensitive portrait had a galvanising effect on public opinion and on the abandonment of callous attitudes towards enforced servitude. The colonisation of the Americas by the European powers produced a massive demand for labour, and it was soon realised that this could be provided by assuming control of the African slave trade. By the eighteenth century the market in slaves was as lucrative as any in the world, with millions being shipped across the Atlantic Ocean to work on plantations in colonies from Virginia to Brazil. The Haitian Revolution of 1791 brought this barbaric industry into the full glare of the public eye, and slavery was abolished in the French Empire in 1794. It was shortly after this that Benoist produced her Portrait of a Negress, and this depiction of a beautiful, dignified yet mournful woman would do much to consolidate public sympathy for those sold into captivity. The painting was first exhibited at the Salon of 1800, and in 1826 was transferred to the Louvre, where it may be seen to this day. Marie-Guilhelmine Benoist was born in 1768. A woman of aristocratic lineage, Benoist was educated by Élisabeth Vigée Lebrun in 1781 and at Jacques-Louis David's atelier in 1786. Benoist belonged to a small elite circle of professional women painters that included, among others, Anne Vallayer-Coster, Elisabeth Vigée-Lebrun, Marguerite Gérard, Angélique Mongez, and Adélaide Labille-Guiard. In 1791, she exhibited her work for the first time in the Salon de Paris with her now-famous, mythology-inspired painting Psyché Faisant Ses Adieux à Sa Famille. 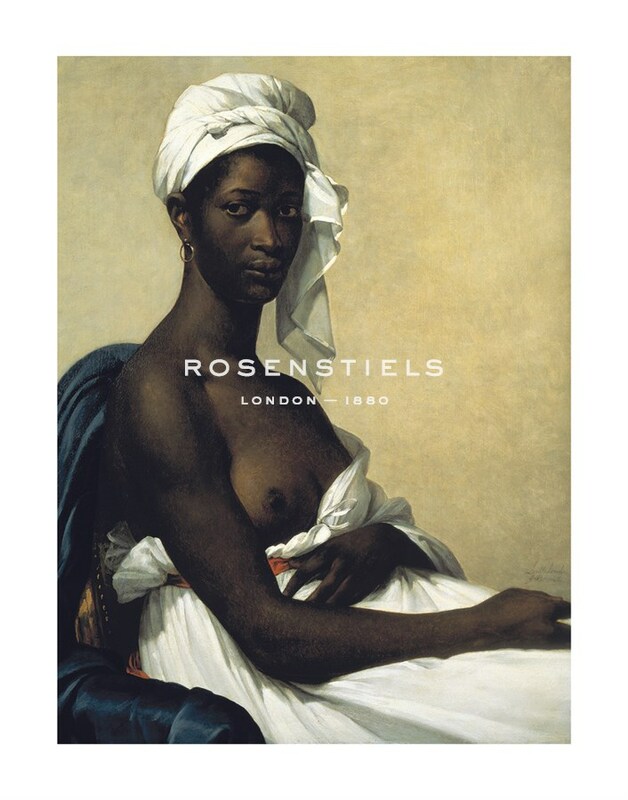 In 1800, six years after slavery had been abolished, Benoist exhibited Portrait d'une Négresse in the Salon, whereupon she became a symbol for women's emancipation and black people's rights. The painting was acquired by Louis XVIII for France in 1818. In 1804, Benoist was awarded a Golden Medal in the Salon and received an annual government allowance. She inaugurated an atelier for women and Napoléon Bonaparte himself commissioned her to paint for him.